The Arctic Club building, and its most recent tenant the Arctic Club Hotel, is acclaimed for its colorful terra-cotta skin, including the wrapping band of walruses that from the third story gaze down on both Cherry Street and Third Avenue. The building was completed in the mid-teens when, most fortunate for Seattle architectural heritage, the reigning fashion was for elegant tile coverings over steel-frame construction. Inside, the club had other elegant “secrets” for the members, most notably the “Dome Room” providing natural lighting through its arching stained-glass ceiling and below it the club’s large lobby. By a coincidence of grand architectural spaces it is possible to stand — in this week’s “now” with Jean Sherrard — near the back (northeast corner) of the Arctic Club Hotel’s large lobby and Polar Bear Bar and be very near where an unnamed photographer stood ca. 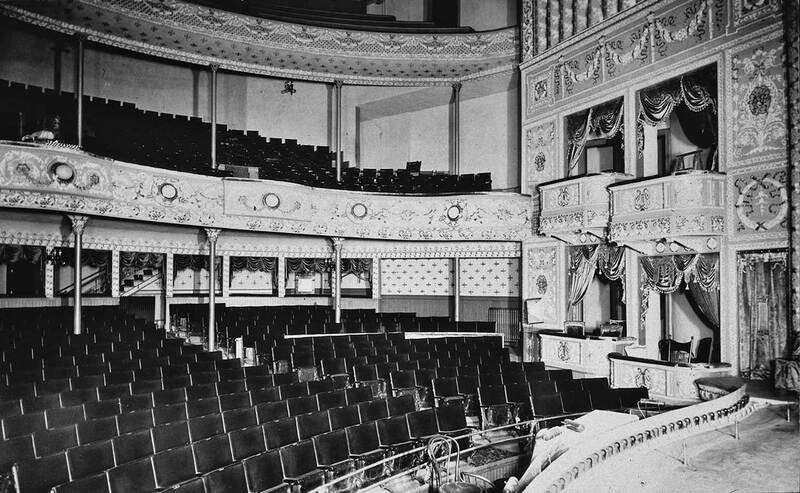 1900 to record from the stage the seating in the Seattle Theatre. Built on the same corner in 1892, it had a long life, for a theater. As a fine sign of what a booming city Seattle was then, however, the Seattle Theatre and its long run of plays, vaudeville, minstrels and one-reel films was sacrificed in 1913 to build the new club house. Both the theater and the club were parts of a kind of cultural fence — with banks, government buildings, hotels and upscale entertainments — that divided the new and ever-expanding retail district to the north from Old Town or Pioneer Place to the south, with the waterfront nearby. Now both visitors and regulars in what was once the financial district can sample the diverse energies of its neighbors in every direction. NOW: In 1916, the Arctic Club moved into its new home. 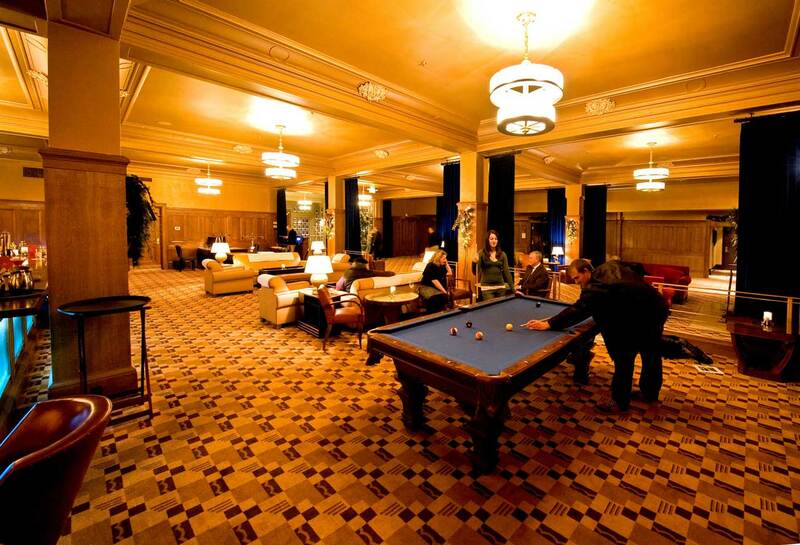 Most recently the old sourdough men's club — which boasted "many events for the women" — has been smartly restored into the Arctic Club Hotel.